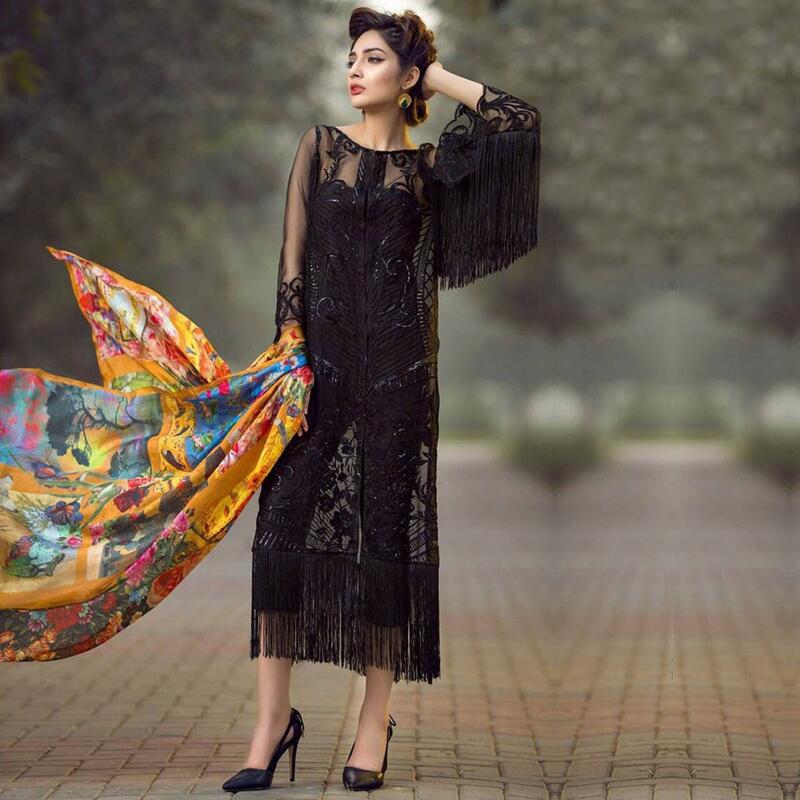 Make the heads turn when you costume up in such a sizzling black net pakistani style pant suit. 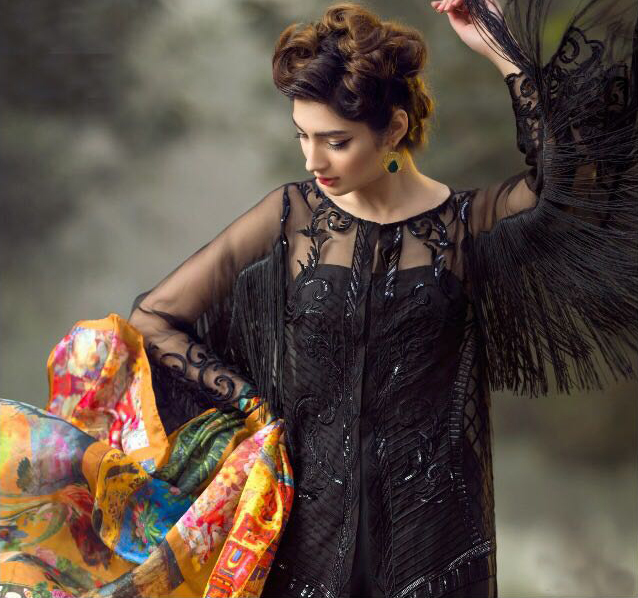 The zari & embroidered work done overall on the kameez adds a sign of magnificence statement to your looks. 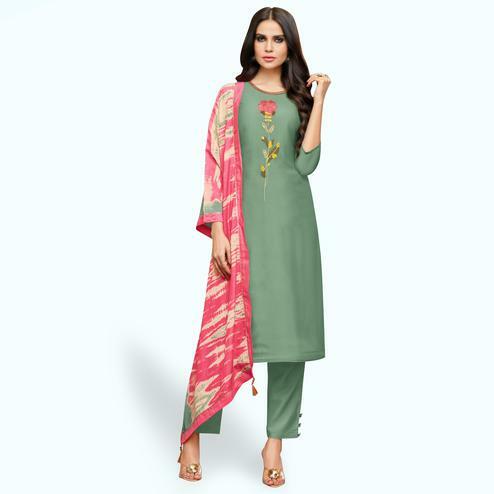 Paired with a santoon lining, bottom & chiffon digital printed dupatta to give a complete look. Ideal for festivals & functions. Team it with fashionable ethnic accessories to look more outstanding. Grab this indo western suit now as it's rare to find.